Do your shins throb and ache after your daily run or just sprinting to catch the bus? It could be shin splints. You might hear a doctor call it medial tibial stress syndrome. The cause is stress on your shinbone and the connective tissues that attach muscles to your bones. They get inflamed and painful. If you’re active, you could get them if you make sudden changes like more intense, more frequent, or longer workouts. They often heal on their own. If you see a doctor, expect to get a thorough physical exam. She may want to watch you run to look for problems. She might also take X-rays or bone scans to look for fractures. Rest your body. It needs time to heal. Ice your shin to ease pain and swelling. Do it for 20-30 minutes every 3 to 4 hours for 2 to 3 days, or until the pain is gone. Use insoles or orthotics for your shoes. Shoe inserts -- which can be custom-made or bought off the shelf -- may help if your arches collapse or flatten when you stand up. Take anti-inflammatory painkillers, if you need them. Non-steroidal anti-inflammatory drugs (NSAIDs), like ibuprofen, naproxen, or aspirin, will help with pain and swelling. These drugs can have side effects, though, like a greater chance of bleeding and ulcers. Use them as directed on the label, unless your doctor says otherwise. Your injured leg is as flexible as your other leg. Your injured leg feels as strong as your other leg. You can push hard on spots that used to be painful. You can jog, sprint, and jump without pain. There's no way to say exactly when your shin splints will go away. It depends on what caused them. People also heal at different rates; 3 to 6 months isn’t unusual. The most important thing is that you don’t rush back into your sport. If you start to work out before your shin heals, you may hurt yourself permanently. 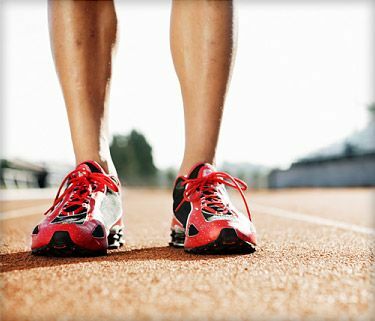 Take up a new no-impact activity that won't aggravate your shin splints while they heal. If you’re a runner, try swimming or an aggressive interval bike program. If your shin splints don’t get better, or if they come back, your doctor may suggest you see a physical therapist. He can treat issues in your legs or the way you move that could cause the problem. A therapist can also help ease the pain and guide your return to sport. He’ll also make sure you don’t have a stress fracture -- tiny cracks in your tibia. Davis, M. Expert Guide to Sports Medicine, American College of Physicians Press, 2005.